My best friend ran a marathon today. 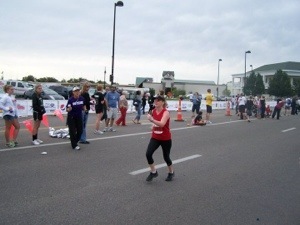 26.2 faith stretching miles. A feat that feels out of reach for most humans but is an easy accomplishment for our God. A journey with Him that parallels our spiritual walk through this life in so many ways. My heart has been fatigued and sinking a lot this year and she’s met me at each of my grief filled “miles” with support and nourishment. Sometimes there was nothing she could do except just be beside me as I ran this difficult race in often “crappy” conditions. It filled my heart with such joy to see God deliver her to victory. To see her faithful pursuit of hard and holy work according to His call. It reminded me of my own love affair with the metaphor that the marathon will always be for me. 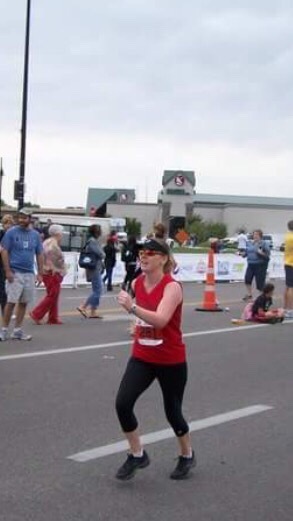 In 2010, I ran my first marathon as I was just starting my friendship with Michelle. I thank God for delivering her to my life and to that glorious finish line. I believe the marathon was a pretty important primer and prep for significant adversity I would face in my life. I believe I learned lessons on that course that have made it possible for me to stay the course on the hard path prepared for me. Some of those lessons I captured right after the race long before I had a blog. I called them Reflections on 26.2 but they were all about the awesomeness of my God. Why would anyone want to run 26.2 miles? What on earth would possess you to do that? 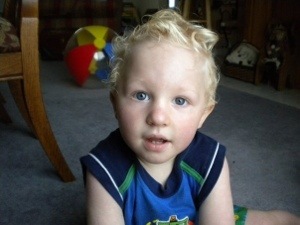 In January of 2008 we learned that Jackson was missing a tiny piece of a chromosome. . . Something called PWS. . . Something scary. . . Something that seemed impossible. . . Something that would change our lives forever. Can I do what I will ask him to do? Persevere through great difficulty . . . Deny myself that which I crave. . . Continue to push through great discomfort that feels like too much. . . Accomplish something amazing beyond my natural abilities. . . Trust My Heavenly Father to see me through. . . Who Am I? Where does my power come from? Am I powerful even though I feel I’m never enough? How will my story end? Will fear and endless toil find relief? All questions that must be answered and they could only be answered through a partnership between God and myself. So that’s what we did. I grabbed a training schedule and an expensive pair of shoes and gave Him my time and attention. And He grabbed my soul and wrestled until deep pockets of fear and self doubt were replaced with faith and security. This was a grueling class and the final exam came at 4 am on marathon morning when I awakened and proceeded to puke my guts into a trash can for the next two hours. The final exam had only one question on it: through a trash can of puke God asked me, “do you trust me?” My hearts reply was I trust you God. If today is not the day for me to accomplish this task it is because you are protecting me from something I wil never have to go through. Or because I am not spiritually mature enough to let go of myself and give you the full glory for what you are wishing to do. Either way I trust you and I have loved my time with you on every run during every prayer. God desires to do seemingly impossible things with our lives if we will let Him. He will turn devastation into victory and overcome unsurmountable obstacles for our joy. He will quiet your stomach and your very soul to take you on a spiritual adventure like no other. You see God is preparing me for the calling on my life in every experience He brings into my life just like a training schedule prepares you for a marathon. 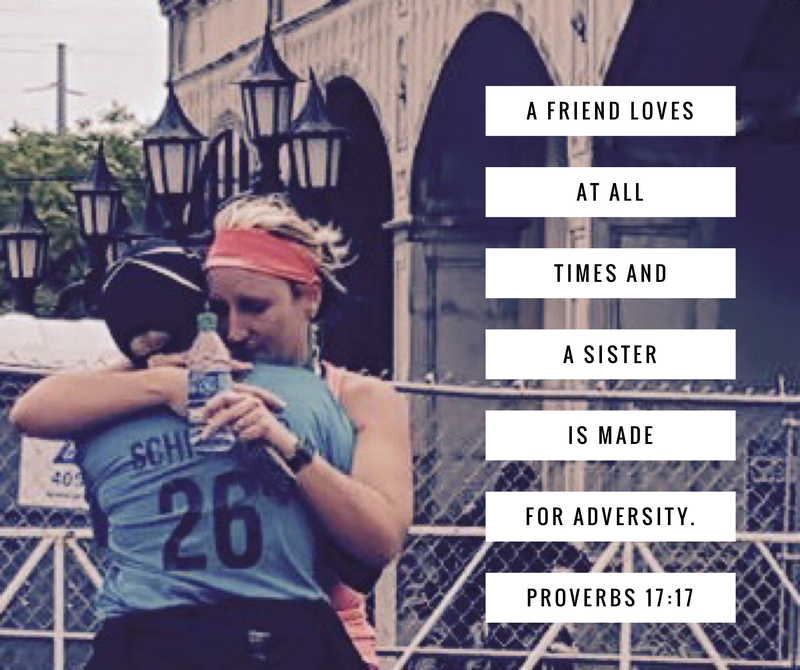 We will breeze along through much of it- – not even aware of how much I need Him–much like the first 13.1 miles of yesterday’s race. And then there will be times of pain and darkness where I will beg for the energy just to make it through fully doubting that I can. But He will never forget me. . . He will always show up. . . He may ask me to relax and stretch like He did at Mile 18 or He may ask me to dig deeper and lean into HIM like He did at Mile 25 when He gave me the desire to finish stronger than I started. And most importantly after we take this unbelievable journey of faith and tears and trials and sufferings and victories in Him. . . We will be Surrounded by His supernatural love and peace . . . Fully relieved of the strain of this life and United by Power and Mercy beyond our imagination. He gave me so many gifts along the way but this hopeful vision of my true future of resting in HIM will prove the most valuable to me . . . And so ” I press on to reach the end of the race and receive the heavenly prize for which God, through Jesus Christ is calling us” phillipians 3:14 and I strive to lead a life that is worthy of the calling I have received Ephesians 4:1 To God Be the Glory Great Things He Has done! I remember when you couldn’t lift your head. . . when those blue eyes would dance but the rest of you remained limp. 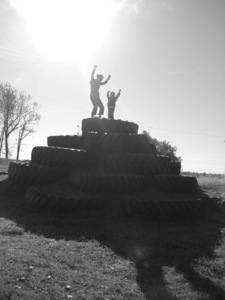 Time seemed to stand still as we began to desperately climb after those developmental milestones. . . we filled that time with joint compression six times a day, infant massage three times a day, lots of exercises, and long, hard fought meals and snacks to feed your brain and to make people say “I thought he was supposed to be failure to thrive?” with puzzled looks on their faces. . . . we painted our lips with bright red lipstick an drove six hours twice a month for specialized speech therapy. . . we prayed . . . we begged others to pray. . .
it felt like you would never crawl or walk or jump or climb. It felt like we might never hear your stories or your thoughts. . .
And today you jumped out of bed, got dressed, and spiked up that white blond hair – – you put your backpack on, ran out to the bus and said, “Good Morning, Coach Henry – – I’m a kindergartner now!” . . . . . .
And twenty feet behind you stood a woman. . .
whose pride and love for you cannot be measured. . .
whose every breath and hope is for God’s greatness to be revealed in your life. . .
and she thought to herself. . .
And she reminded herself. . .
And she said to her God and her son. . . . But I also knew you have been coming for this day. . .
J – – -You are my hero, my heart’s passion , and the delight of my soul. . . I believe there are two kinds of people in this world: WISHERS and WORKERS. Wishers sit around and they wish that there situation would change, that things would get better, that something better is coming. They wish they hadn’t done this or wish they could accomplish that. The word “wish” sounds like an active verb but it is so painfully passive. Workers on the other hand get their heads down and their bums up. . . and they work. They toil. They labor. They persist and they push. They pull and tug. They will push a peanut with their nose for a mile if that is what it takes to get it done. They don’t quit. They don’t question. They are not caught sitting around and wishing because they are busy going about the important work they are called to. . . They don’t stop to look around very often but when they do – – they have covered a lot of ground. They have grown. God has taken their effort and He has brought it to the pinnacle of what’s possible. I consider myself to be a worker. God and I have been working on my character for a long time. We have a long way to go, but I am doing my best and He is sure to do his. Today I had some work to do. I needed to go to J’s school and meet with the kitchen staff. I needed to make sure that they know how important they are in our journey. I had a message to deliver and gifts to bestow and communication plans to make. But as I neared the school, a lump began to grow in my throat and tears began to pool in my eyes. . . my face was tense and every facial muscle I have began working hard at controlling these unexpected developments. My heart began to ache and my soul became unsettled as it started to look for a way out. But when I was done working, I was tired and the weaker parts of me felt strong. And they released those wishes as tears that I don’t need. . . . and I took a deep breath of the Holy Spirit. My shoulders relaxed and I knew that all this work was actually my calling – a calling that I am honored to try to be worthy of ( Ephesians 4:1). As the enemy told me that I do not deserve this rocky road – – I stood in the truth that my God loves me too much to ever allow me to experience what I deserve. It is good to be a worker. . . it is OK to occasionally get tired. . as long as I rest in what is truly refreshing and comforting and faithful. . . as long as I count my blessings. . . and recognize my Heavenly Father in every difficult step. 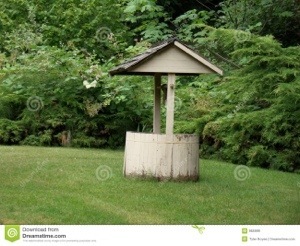 . . as long as I put my trust in prayers that soar upward and not on wishes that land in the bottom of a well with an empty thud. Yes, it is good to be a worker. An Open Letter to Geneticists Everywhere. . . I want to thank you for your “synopsis of our prognosis.” I appreciate your honesty in telling us how horrible our lives were going to be living with this monster of a child we created. 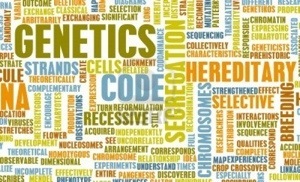 . . this genetic “mistake” that would alter our lives. . . mostly for the worse. You had a lot of power as you held your imaginary crystal ball. But today I write on behalf of someone with more power than you. . . a Master Geneticist who makes no mistakes in the science of His creation. You see – – – you failed to mention a few things to us in your comprehensive description of our future. I wish you had told me that this floppy baby was gonna run/walk a one mile color run at age 5. . . that he would jump on a trampoline and climb a tractor . . . or walk around Worlds of Fun for a whole day or pass Level 1 swimming lessons. . .
You told us about the horrible fits and tantrums. Yes, we have seen more than a few of those. But I’m proud to say they have happened while learning to play soccer with his genetically typical peers or because he is told “No” to something that any child would find disappointing. How I wish you had mentioned that his flare for drama and storytelling would delight us for hours. This falls right in line with the rest of his “genetics” by the way. Yes, there is a tiny part of a chromosome missing but the other forty-five are perfect. They stamp him with a natural kindness and interest in caring for others. . . with intelligence ( I know you said he wouldn’t be smart, but he is). . . with humor and gifts like acting and a love for literature and visual arts. 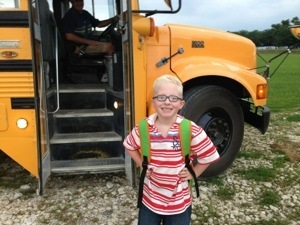 . .
You told me he wouldn’t do well in school but you didn’t tell me he would LOVE school. . . or that his teachers would LOVE him. You told me that our food would be severely restricted, but not how healthy and strong we would feel as we navigate that road. You told me that he would be severely delayed with developmental milestones, but not about the exhilarating joy we would feel when he reached them. I felt powerless and hopeless and weak. I didn’t know the diagnosis you delivered would bring me my greatest strengths as well. I didn’t feel qualified to be the mother of a special needs child. But I didn’t know that was Step 1 of God turning me into a warrior. So the next time you deliver a devastating speech to a heartbroken family and paint their future using only black paint – – – Call me and I will bring a few more colors. . . and a video. . . . .
of my son. . . reading a pre-K reader. . . .before he goes to T-ball practice.